The Commission on the Status of Women (CSW) is the principal global intergovernmental body exclusively dedicated to the promotion of gender equality and women’s rights. Its 60th session this year focused on women’s empowerment and its link to sustainable development. Despite mounting evidence of targeted violence against women human rights defenders (WHRDs), particularly those working on development issues, the Commission on the Status of Women failed at ensuring their adequate protection says the International Service for Human Rights (ISHR) in a report of 12 May 2016. ‘The role and contribution of WHRDs around the world in human rights and development policies and programmes must be a guarantee by all States,’ said Ms Pooja Patel, programme manager at ISHR. ‘It is disappointing that the Agreed Conclusions did not go further to call for a safe and enabling environment explicitly for women defenders, and that the text was adopted without any acknowledgement of the particular risks faced by women human rights defenders’. 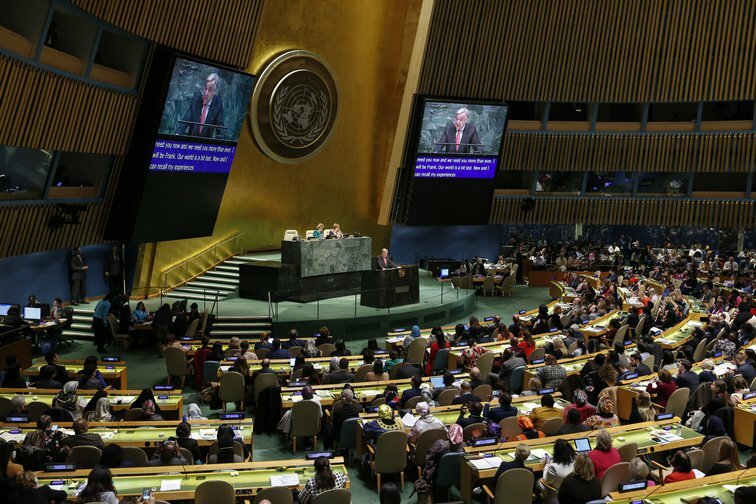 The UN General Assembly resolution 68/181, adopted in 2013, outlines a series of steps for States to better protect women defenders. This was echoed by CSW in 2014, however, negotiations in subsequent years have seen such references taken out. Some 325 organisations have signed up to a joint Statement which expresses outrage at the way that they have been excluded from both the negotiation of the political declaration and the Commission on the Status of Women (CSW) Methods of Work resolution. [http://www.wave-network.org/content/nothing-about-us-without-us-statement-csw-methods-work-resolutions]. The UN Commission on the Status of Women (CSW) each year provides a global platform for exchange and networking for women’s organizations working on furthering women’s rights all across the world, but this year’s session (March) was also the occasion to present the ‘Future organization and methods of work of the CSW which provides less space to NGOs to influence the outcomes of the session, through increasingly limited access to official negotiations and space to contribute to outcome documents. It seems that governments are intent limiting the (sometimes) robust participation of non-governmental organizations, restrict recognition of the human rights of women and girls and the norm-setting role of the CSW in this regard and skirt responsibility for implementing the Sustainable Development Goals.